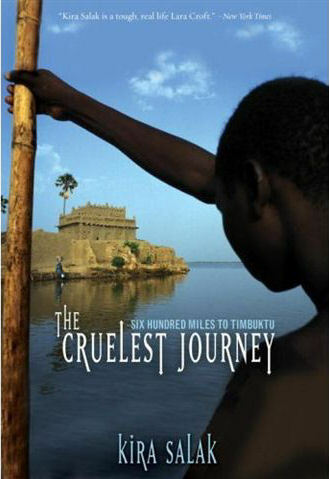 Read Excerpts from "The Cruelest Journey"
"Salak's second travel memoir takes her down the Niger River to Timbuktu, following the trail of Scottish explorer Mungo Park, who more than 200 years before he attempted the same journey. Salak decides to take the journey alone on a kayak, hoping to recapture Park's sense of wonder and determination. Salak's trip is deeply personal, and she shares her fears, her triumphs, and her thoughts along the way with the reader, making it an accessible, involving journey for her audience."